U.S. troops, Ebola: 3,000 committed to Africa. 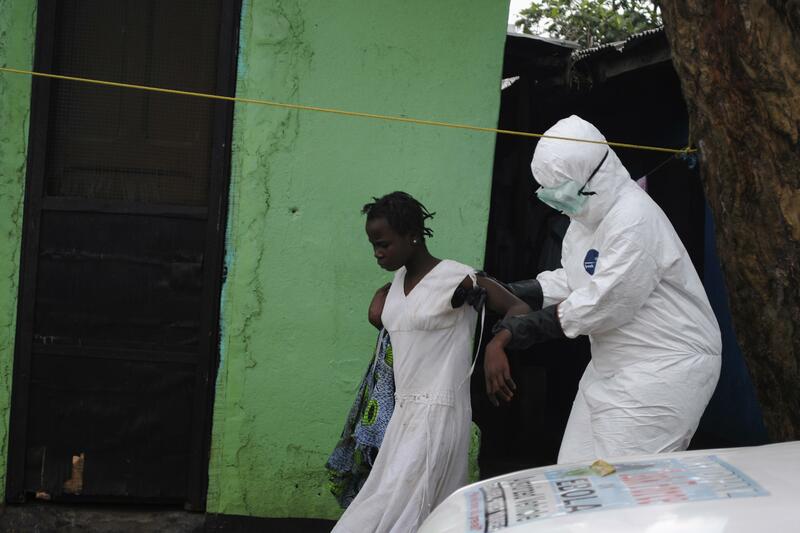 A woman believed to have Ebola in Monrovia, Liberia. Mr. Obama will offer help to President Ellen Johnson Sirleaf of Liberia in the construction of as many as 17 Ebola treatment centers in the region, with about 1,700 treatment beds. Senior administration officials said Monday night that the Department of Defense would open a joint command operation in Monrovia, Liberia, to coordinate the international effort to combat the disease. The military will also provide engineers to help construct the additional treatment facilities and will send enough people to train up to 500 health care workers a week to deal with the crisis. The United States has already committed 100 Centers for Disease Control and Prevention experts and spent $175 million on combating the epidemic, which has killed at least 2,400 people in five countries, the Washington Post reports.